MSC strives to ensure that no person is ever abandoned twice. 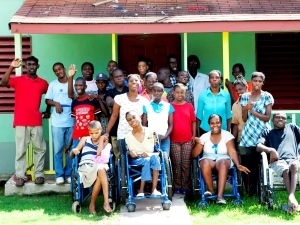 In Jamaica, there are no facilities - governmental or otherwise - available to take care of individuals with mental and physical disabilities after the age of 18. The vision for Jacob’s Ladder is to fill this void by providing 400 adults with mental and physical disabilities with a home where they can live in a safe and nurturing environment. Our apostolates that house adult residents aim to provide a place where they can learn skills and apply them directly in their daily lives. Our caregivers work with the residents and help them develop a sense of responsibility and dignity.